One of our regular customers has kindly allowed us to look at his collection of Foster’s and Henry Maxwell shoes. He has been coming in to the shop for many years and values his relationship with us. We asked him, why Foster’s? This is his answer. “There is nowhere else that I feel quite so much at home when buying shoes. Discretion prevents me from mentioning any other makers but, much as I like and admire them, there is nothing, in my view, to compare with Foster’s. I’ve been buying shoes, both ready to wear and bespoke for many years. The search for the right shoemaker is actually quite difficult. They all have something akin to a house-style and an aesthetic that either appeals or doesn’t. For me it was a question of Englishness. I know that Foster’s have a long history, which is part of their story, but so have some others. If the shoes don’t cut it then history is irrelevant. 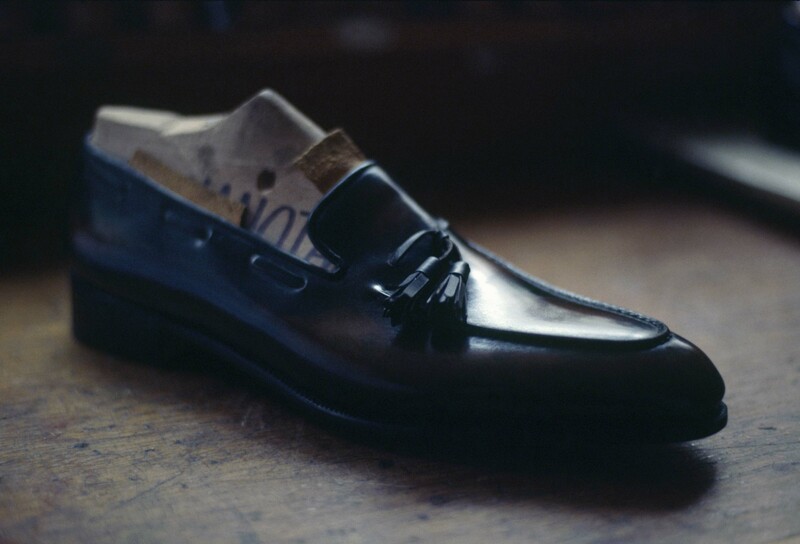 The thing with Foster’s is that the history is embodied in the shoes they produce right now. I’m sure it helps that they’re privately owned and can do what they like without having to bow to the wishes of some corporate parent. But, ultimately, it’s a question of commitment and passion. Shoemaking is a bit like education or medicine. Sure you can teach kids, tend to the ill and even make shoes without really caring very much about it, but the best makers really, really care. Foster’s, in my opinion, show that care and commitment more than anyone else. I’ve been through phases in the past of buying fashionable shoes, fashion-forward shoes (ghastly terminology!) and very clunky shoes. It seems to me to be quite difficult to mix tradition and style. Though, having said that, it could be argued that the best of tradition was, and is, stylish. Anyway, however it works, I buy into the Foster style and believe that it represents a quintessentially English aesthetic. For me no-one else quite does it. It often surprises me that Foster’s and Maxwell’s don’t get the coverage on the internet fora that some of the other makers get. Websites like Styleforum and AskAndy are full of shoe fans. But, if I’m honest, it sort of appeals to me that Foster’s are quite low-key. There’s something about being in on a secret.